The man who got Will Shock his job praised Shock's work in 2012 - after two decades on the job, according to The Marin Independent Journal. Schock's job for two decades has been as a scout for the Oakland Athletics. The man who got him that job was a fellow scout and later special assistant to Oakland GM Billy Beane, The Independent Journal wrote. "One of the things that always comes out with Will is his passion and his love for what he did," Fuson told The Independent Journal. "He really took a personal interest into the players that he evaluated, especially on the amateur side. And I can't sit here and remember one time that I asked Will Schock a question about one of his players that he didn't have what he believed was the right answer and that's a big attribute for the job." 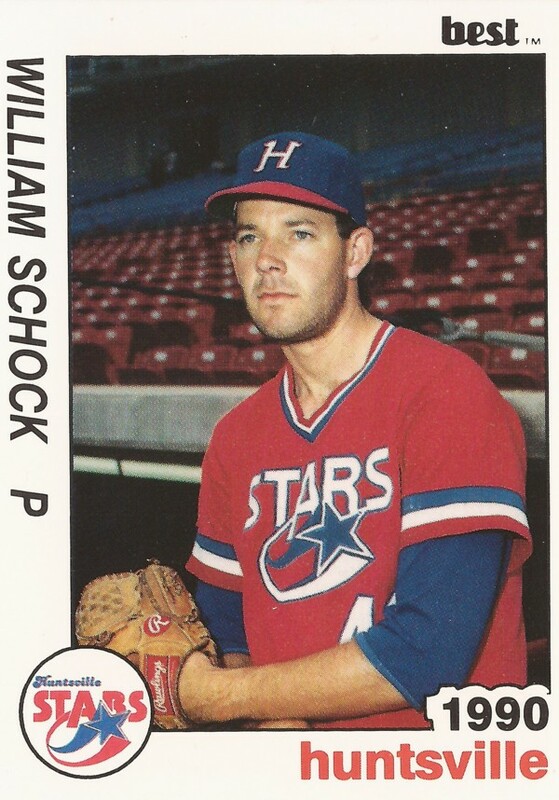 Schock started scouting for the Athletics shortly after his own playing career ended. 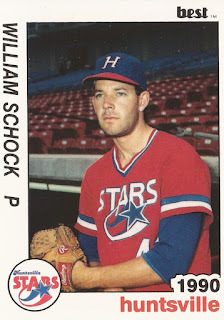 Schock played five seasons as a pro. He made AAA, but he didn't make the majors. Schock's playing career began in 1987, taken by the Athletics in the 22nd round of the draft out of the University of California. He's also credited by his full name, William Schock. At Cal, Schock won praise in a May 1987 game against Arizona State, after a shoulder injury sidelined him for nearly two seasons, according to The Arizona Republic. He gave up three hits in five innings. "He (Schock) did a good job of changing speeds, and we weren't disciplined enough to deal with it," Arizona State head coach Jim Brock told The Republic. Schock started with the Athletics at short-season Medford. He went 1-1 over seven starts. He made AA Huntsville in his second season, getting 11 starts there and the rest at single-A Madison. He returned to Huntsville for 1990. He went 11-7 over 28 starts, with a 3.22 ERA. He then moved up to AAA Tacoma to start 1991. He got 15 starts there, with a 5.74 ERA. He then moved to the Reds and AA Chattanooga for the rest of the season, concluding his career with 11 final starts there. Schock then turned to scouting. In 2016, he made his home area Marin's Athletic Hall of Fame. He spoke to The Independent Journal about working for the Athletics. "I couldn't imagine working for better guys," Schock told The Independent Journal.